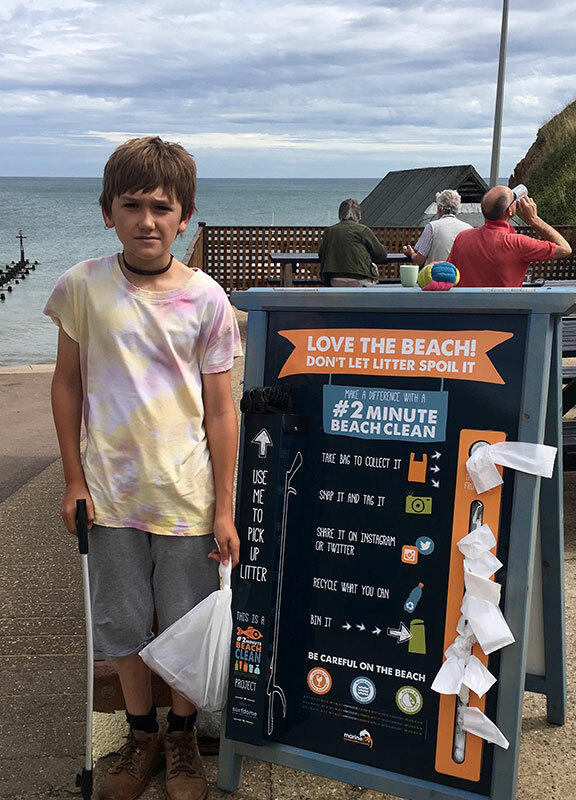 #2minutebeachclean #2minutebeachclean campaign at Seaview Cafe. 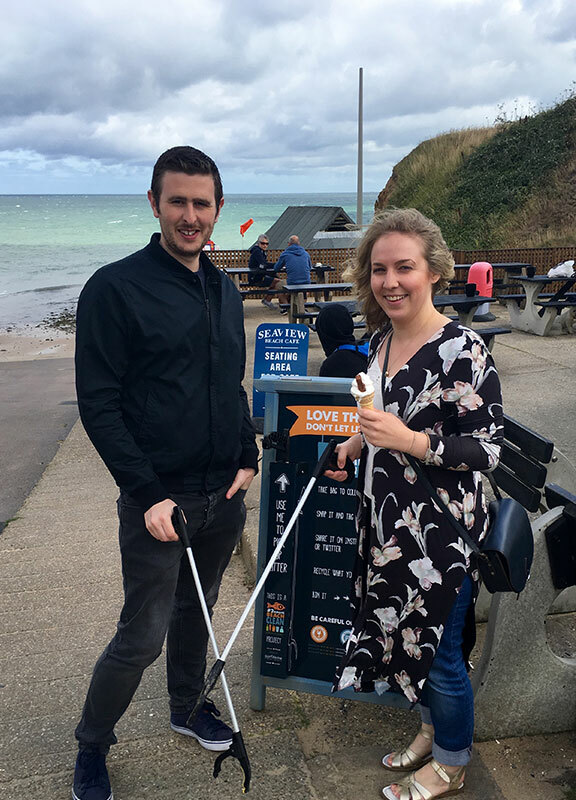 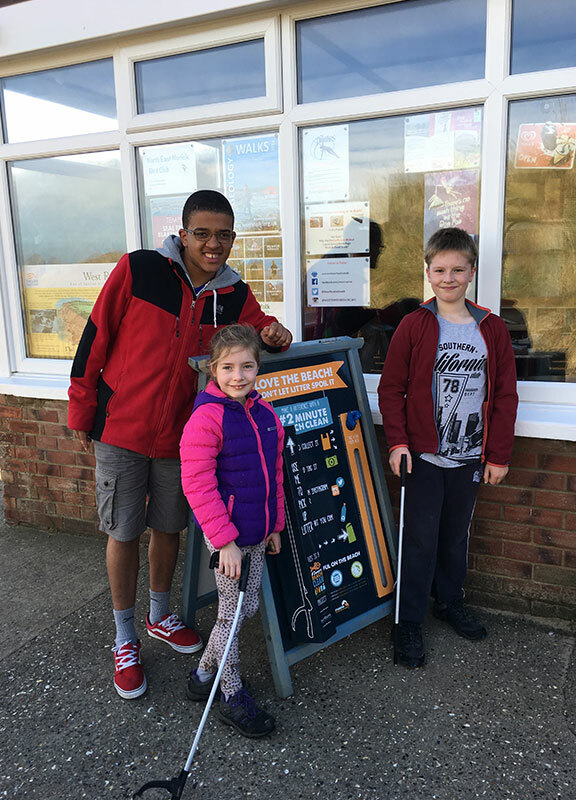 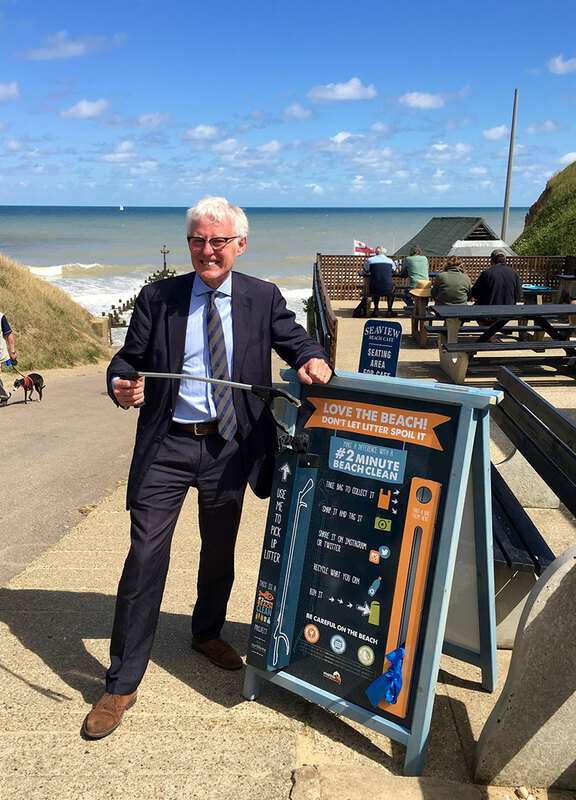 Seaview Beach Café are very honored in being chosen as the “Norfolk Forerunner” of the #2minutebeachclean. 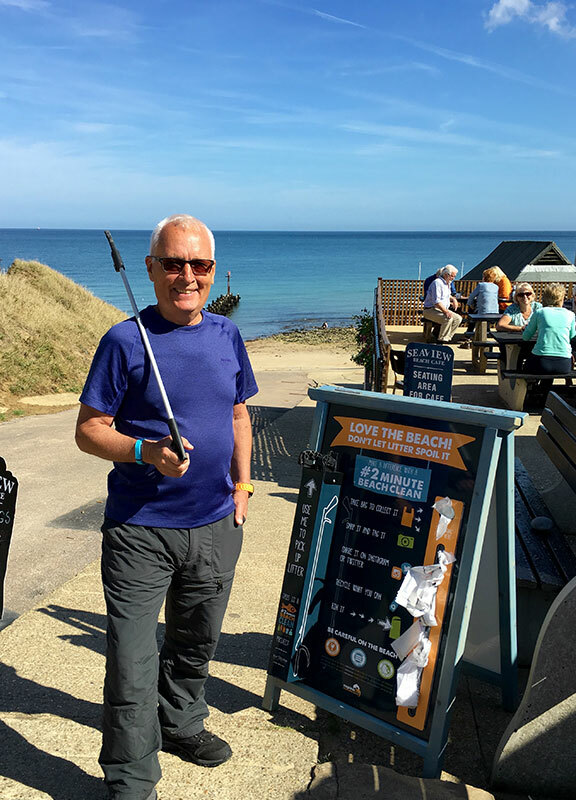 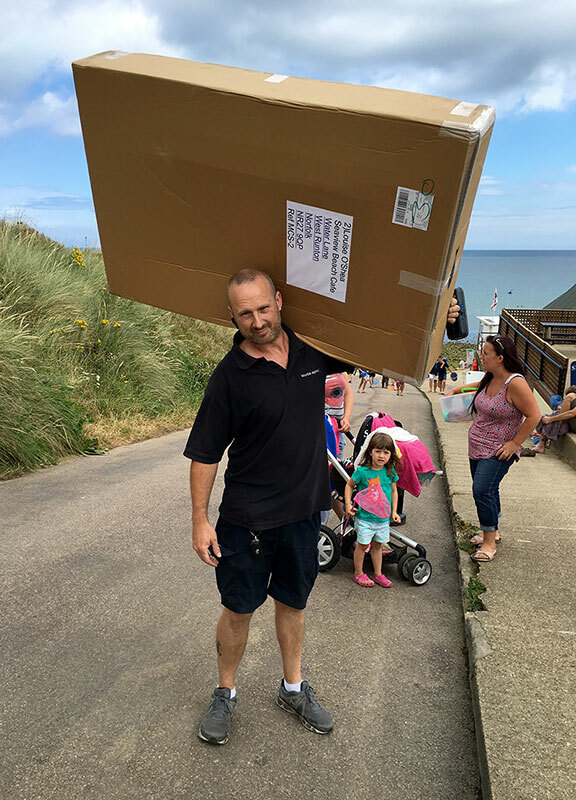 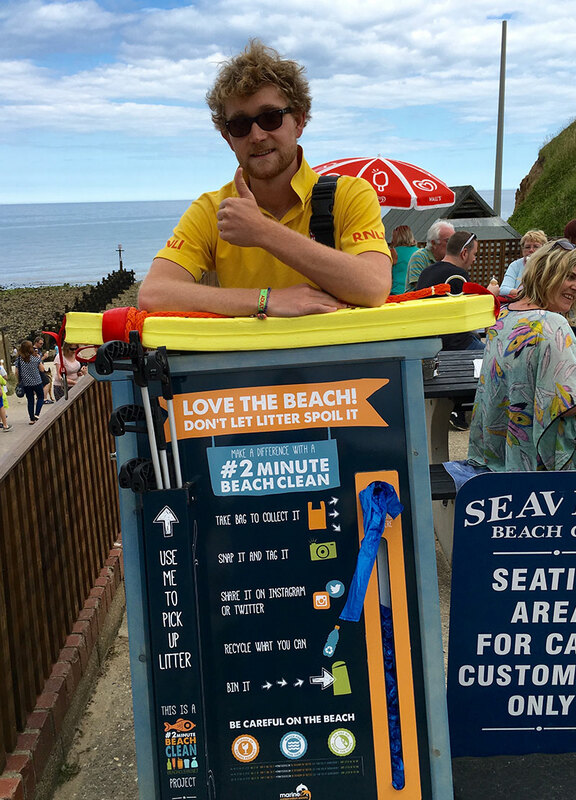 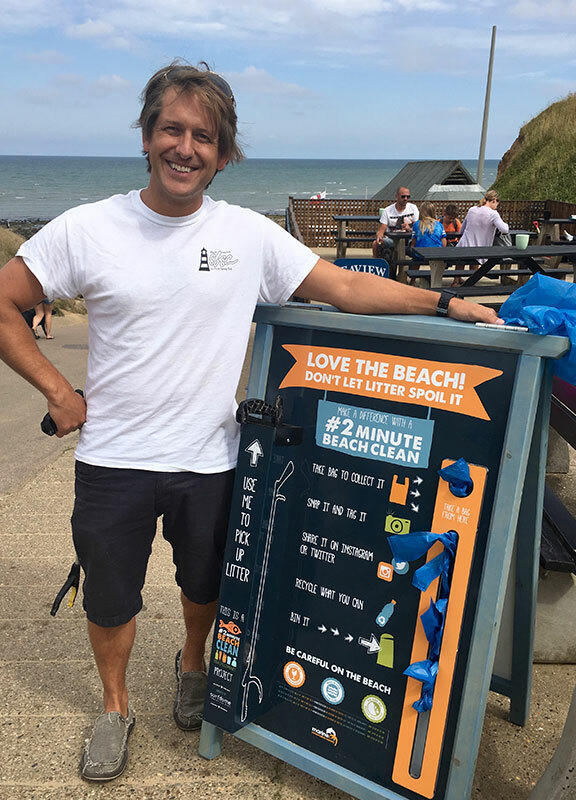 Founded by Martin Dorey in 2009, #2minutebeachclean is fast becoming a worldwide phenomenon. 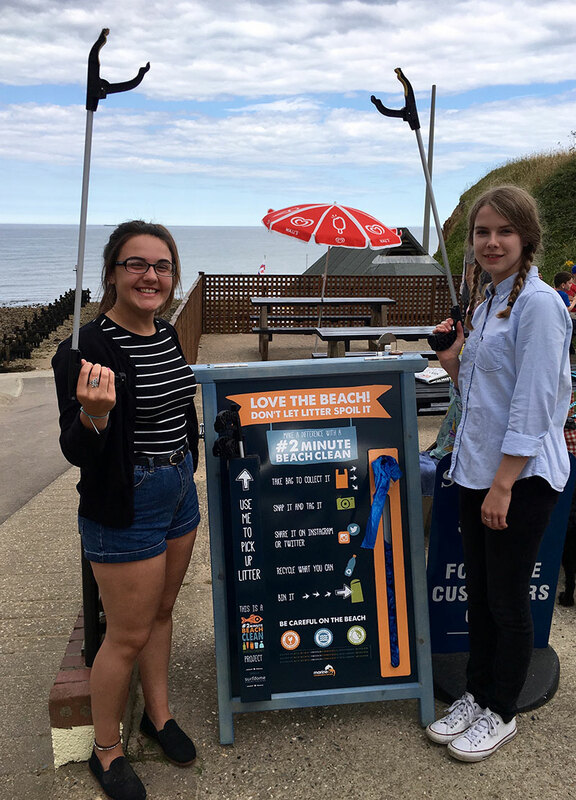 After the terrible North Atlantic storms in 2013 / 2014 most UK beaches were littered with marine plastics and other debris. 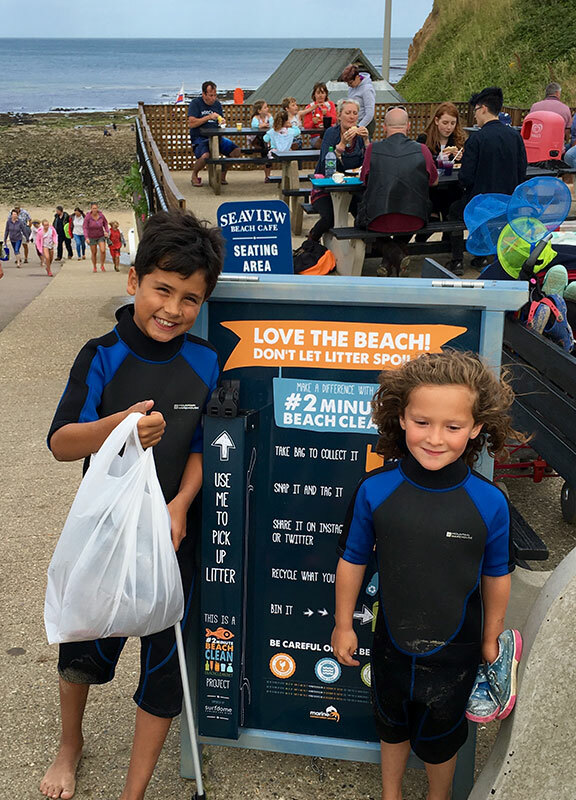 Not only is this detrimental to our coastlines but also to the abundant wildlife. 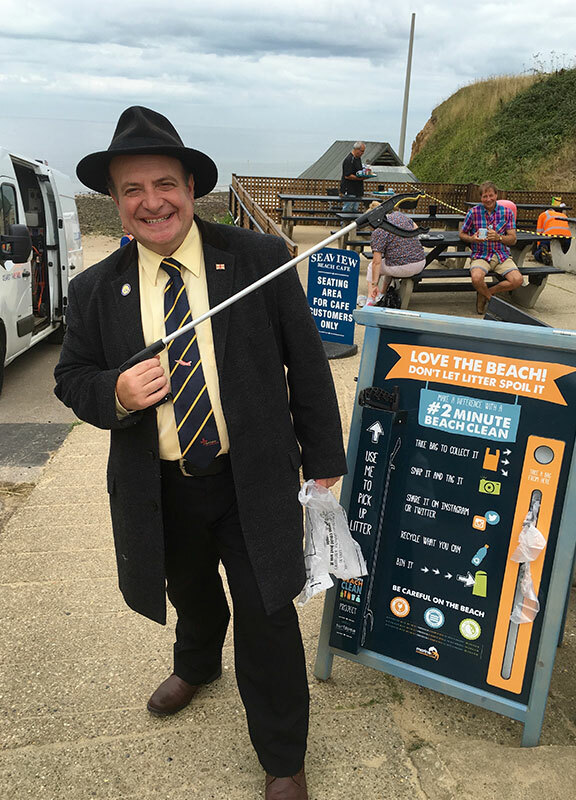 Martin’s idea of just 2 minutes at a time became a reality. 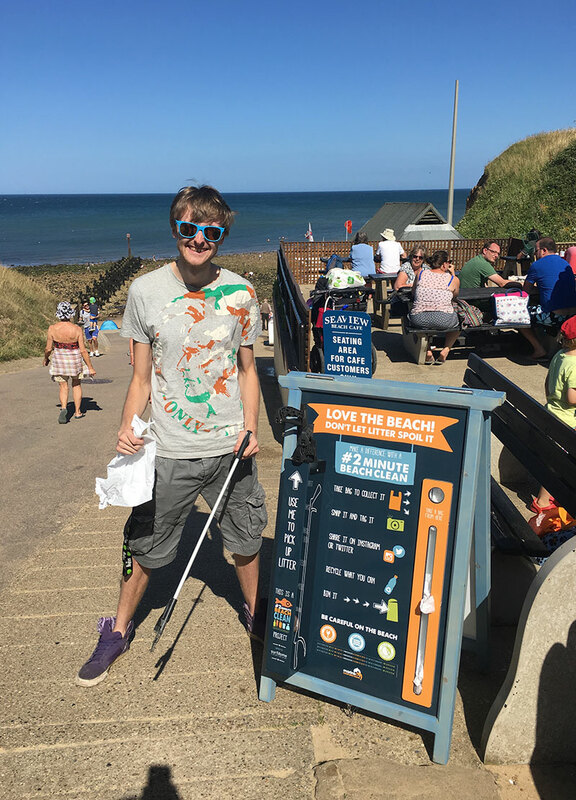 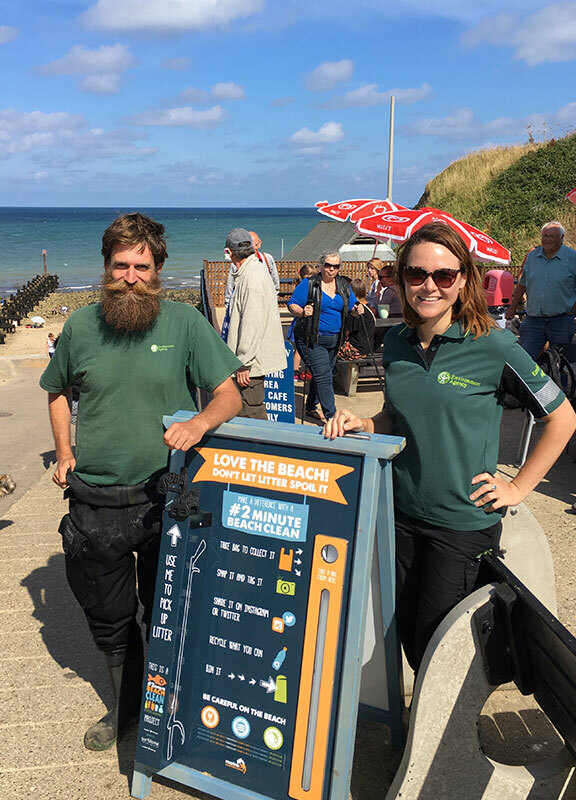 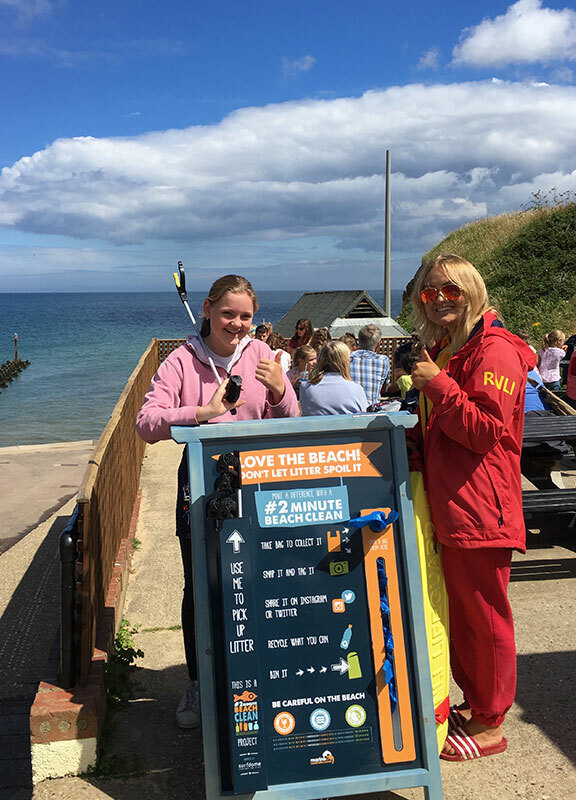 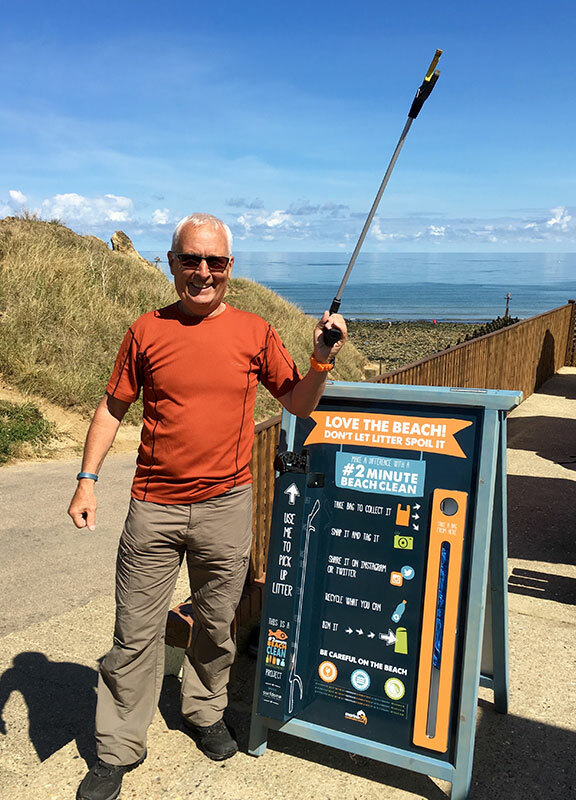 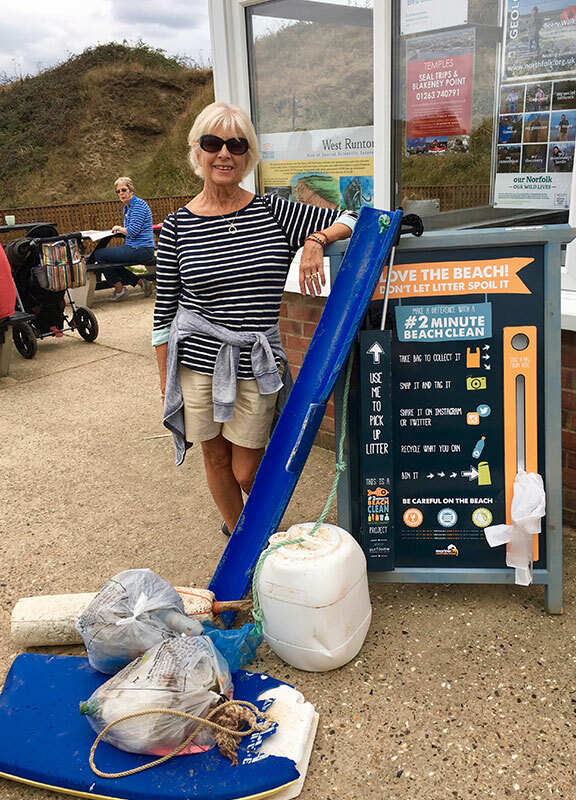 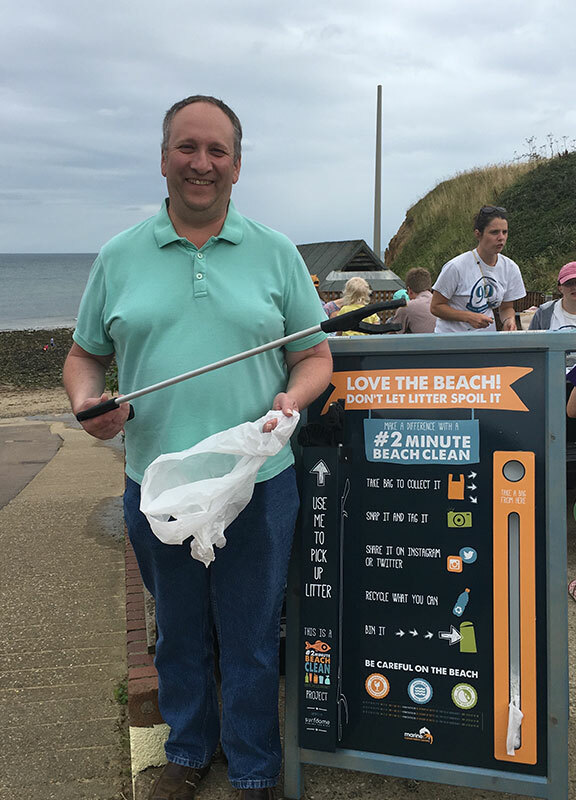 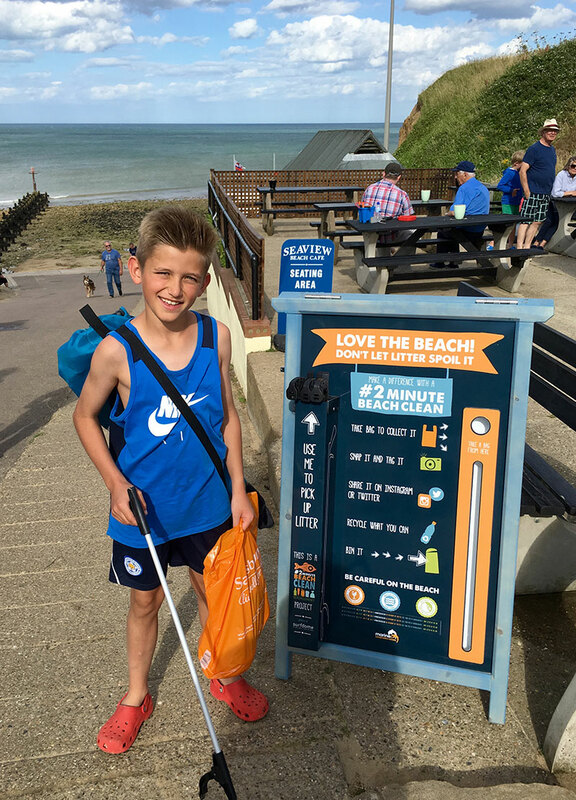 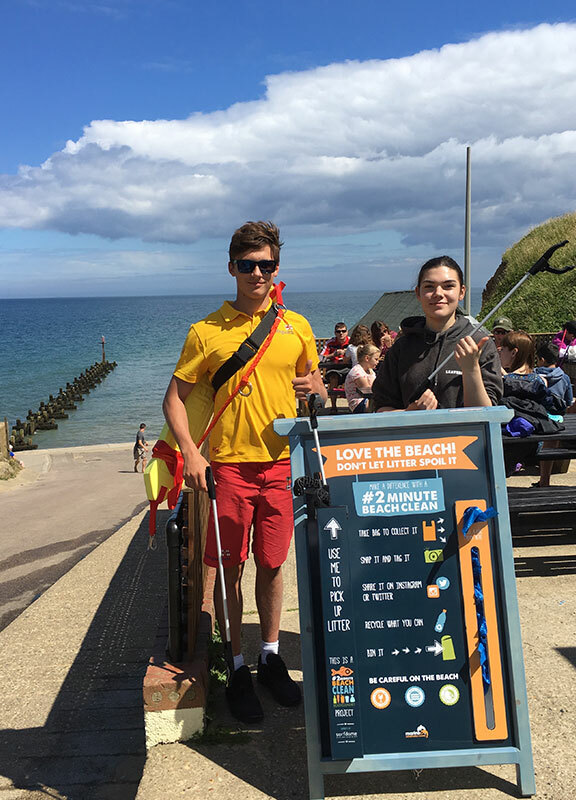 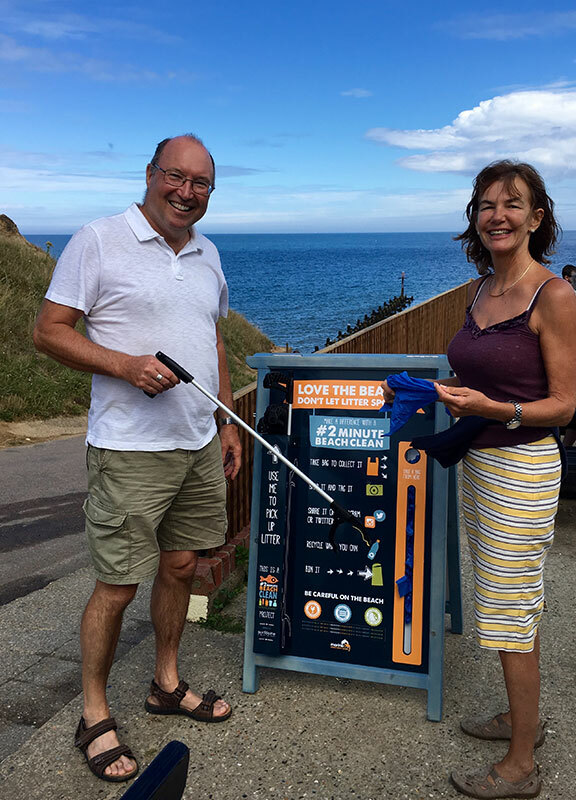 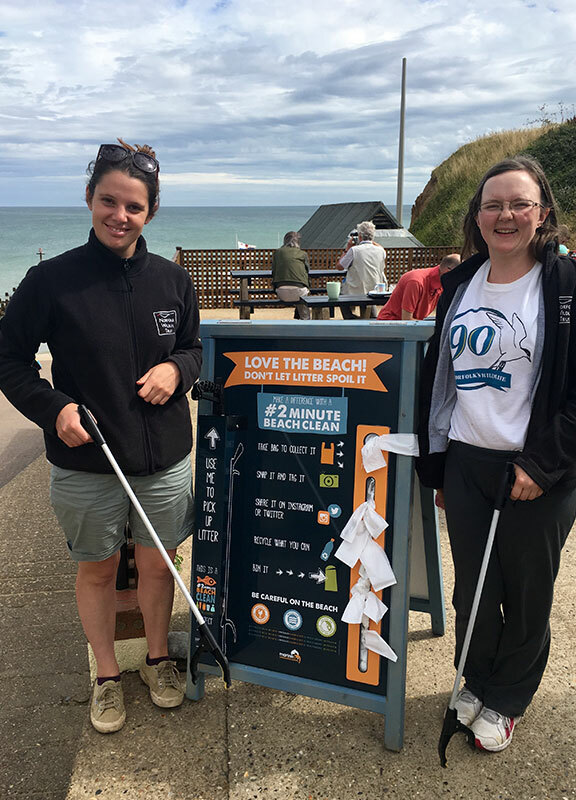 We are the only location in Norfolk to fly the flag for #2minutebeachclean, encouraging locals and holidaymakers to help out and “ do their bit”. 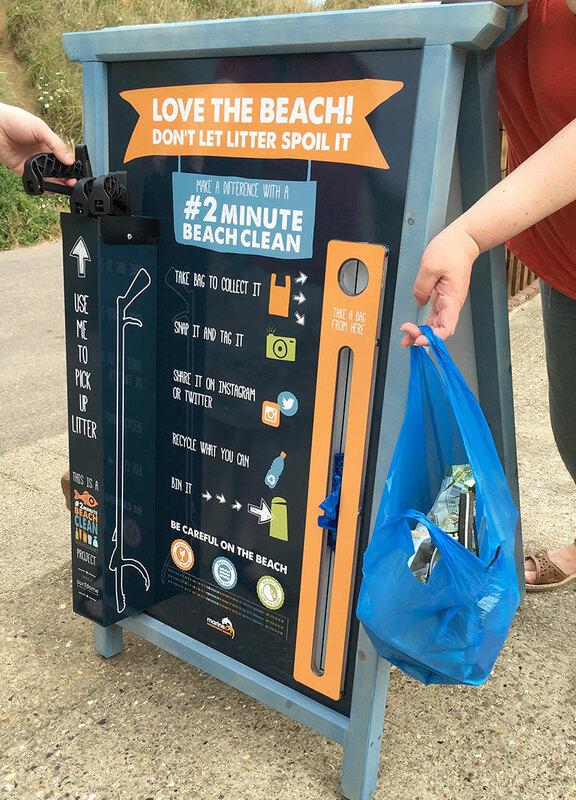 The board is out from 9am till 5pm, all litter pickers are supplied and the carrier bags are donated from the general public, we always have a good supply. 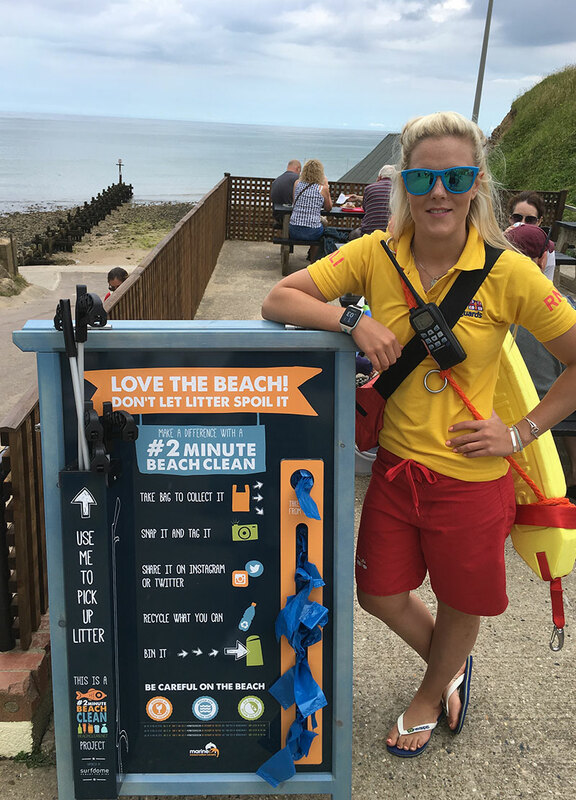 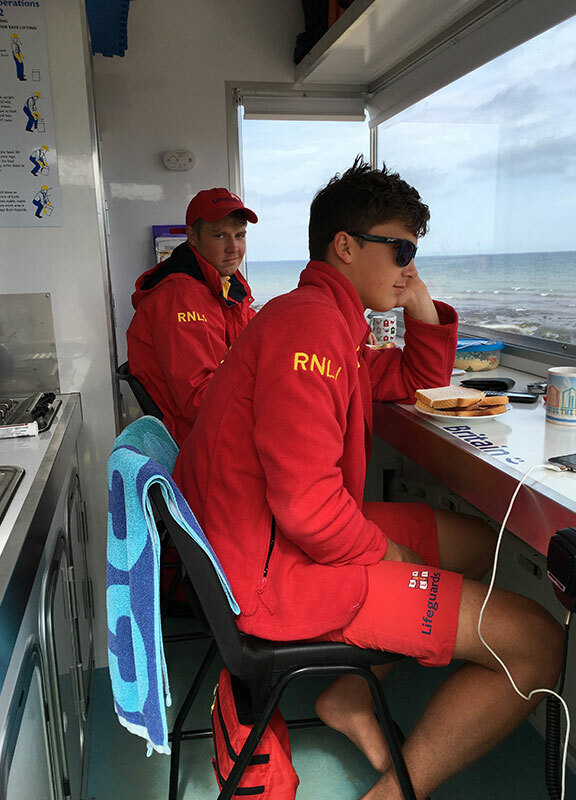 So the next time you are spending a day on the beach, could you spare us 2 minutes of your time? 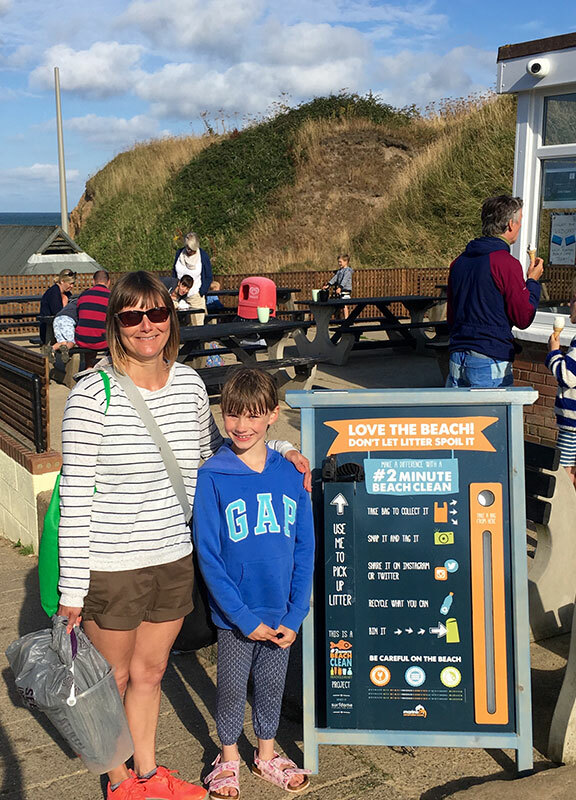 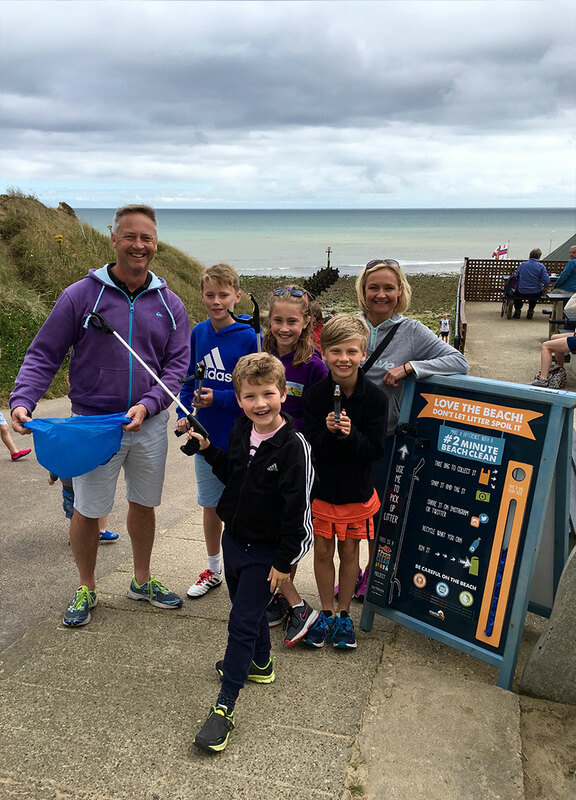 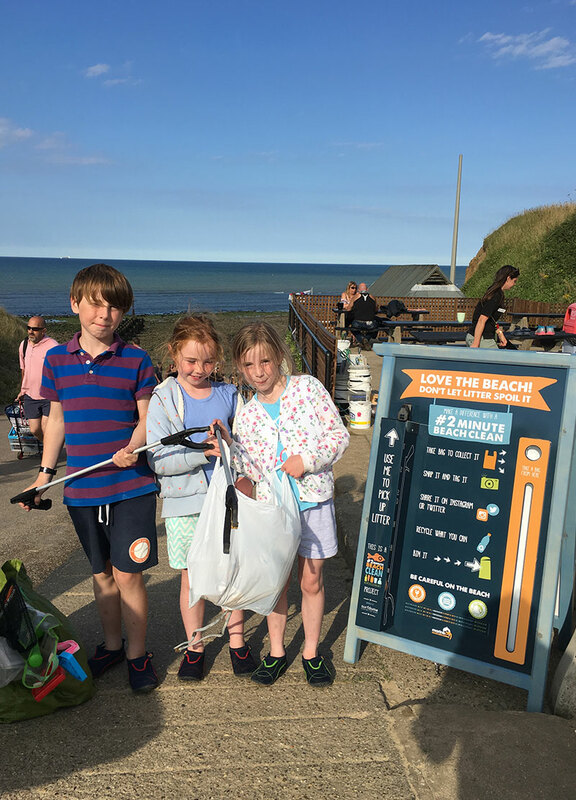 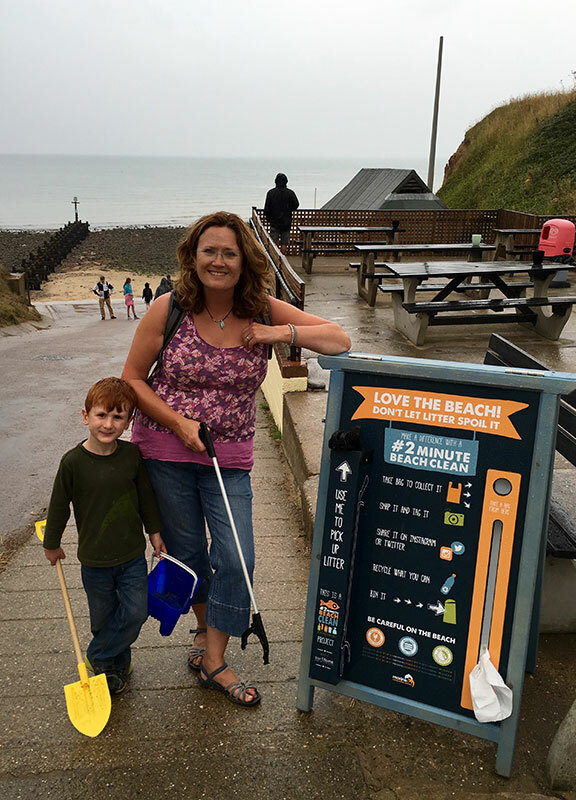 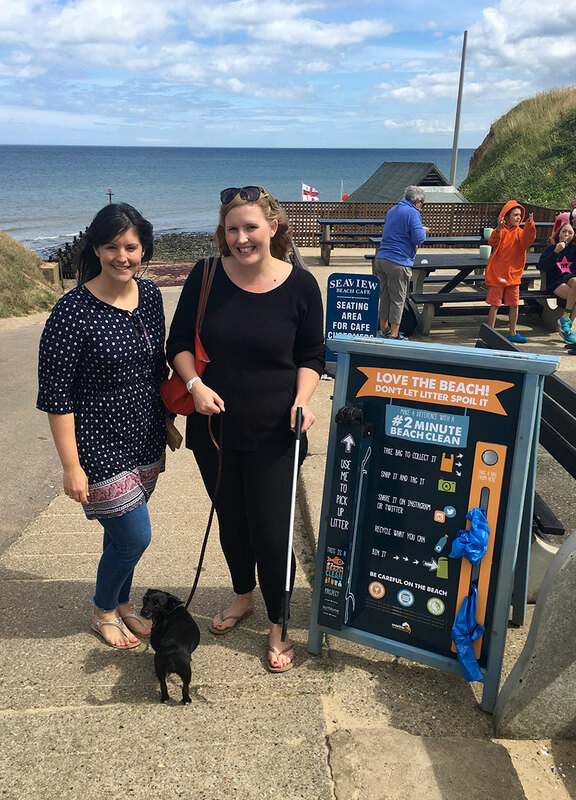 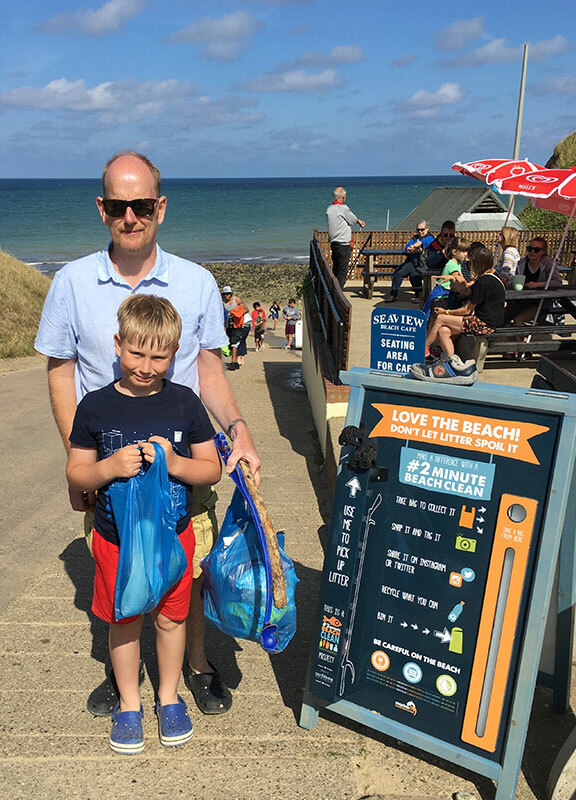 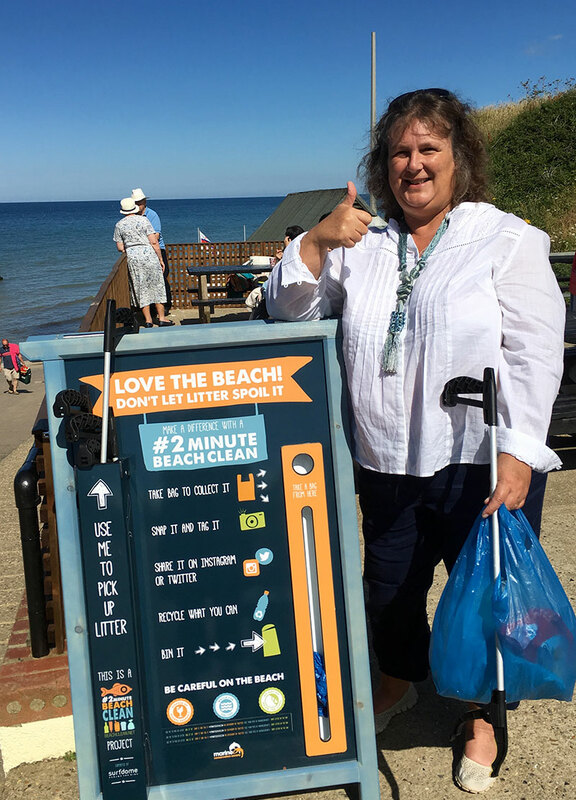 We can trade your full bags of litter for a photo placed on our wall of #2minutebeachcleaners like those seen here! 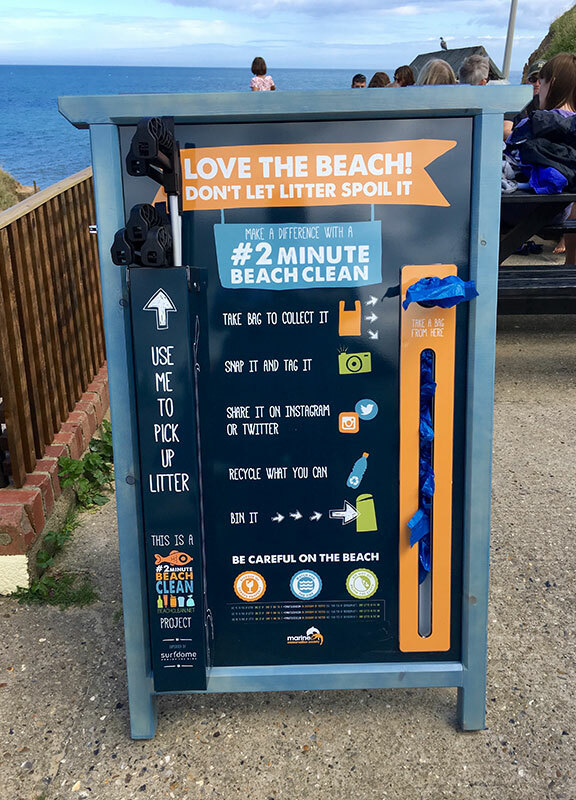 What are you waiting for?! 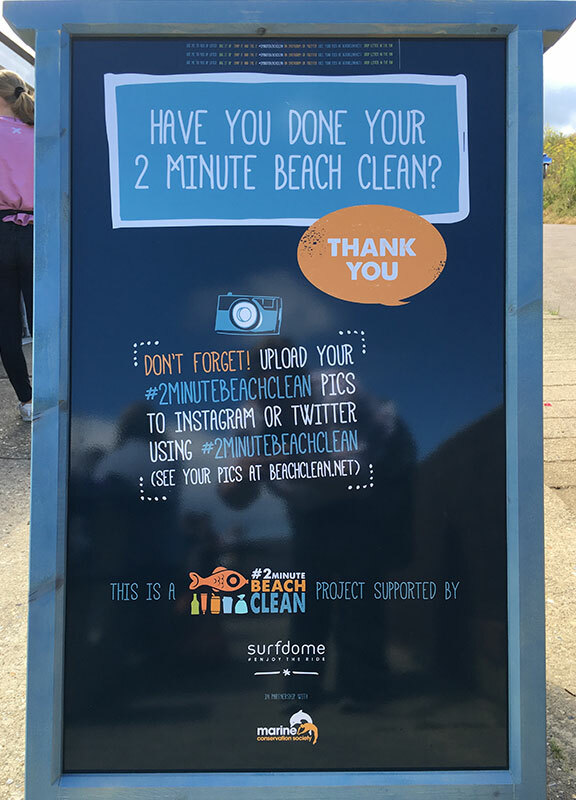 For more information, and to see what #2minutebeachclean is all about, click here.